Curcumin and cumin are both related to food and they are both intrinsic parts of Indian cuisine. However, even though their names look similar, curcumin and cumin are two different items altogether. Curcumin is a constituent of turmeric. Along with desmethoxycurcumin and bis-desmethoxycurcumin, curcumin forms a trio of natural phenols that give turmeric its yellow color. Turmeric is a plant that is typical with its oblong leaves and funnel-shaped flowers that are yellow in color. The root of turmeric is widely used in Indian and South-East Asian cuisines. Cumin is a flowering plant that is found all across the east of Mediterranean to India. Cumin seeds form important flavoring agents in many cuisines across the world. Cumin, both in whole and ground forms, can be found in Indian, Latin American and North African cuisines. Leyden, a Dutch cheese, also has cumin as one of its ingredients. Cumin can also be found in some traditional French bread types. How to differentiate between curcumin and cumin? There is so much difference between curcumin and cumin that one doesn’t need to put in any effort to differentiate between them. Curcumin cannot be found in the market because it is one of the compounds of turmeric. When someone consumes turmeric, they get their dose of curcumin. Cumin, on the other hand, is a seed that looks similar to caraway. It has a boat shape and is brownish in color. As mentioned above, curcumin is an integral part of turmeric and it is responsible for giving it the bright yellow color. Turmeric is one of the most powerful anti-oxidants and this is why it is known to have exceptional disease fighting properties. Research on turmeric’s anti-cancer properties is going on as you read this piece. Turmeric also has very strong carminative, antispasmodic, anti-inflammatory and antibacterial properties. It has been proved that turmeric can reduce mutagens that can be found in the urine of cigarette smokers. Turmeric is also known to have digestive properties and it may be useful in reducing intestinal tract spasms. Cumin contains 5% volatile oil, constitured mostly of aldehydes. It is rich flavonoid glycosides like luteolin and apigenin and also contains limonene and eugenol, two popular antioxidants. The iron content in cumin is very and every 100 grams of the seed contains 11.7 mg of iron. Trace minerals like zinc and manganese are also found in cumin. Cumin is known to have antibacterial, anti-cancer properties and it is also known to have lots of antioxidants. Consumption of cumin may reduce blood sugar levels. Essential oils made from cumin offer resistance to eight bacteria, something that even the most potent antibiotics cannot offer. Both curcumin and cumin are used in Ayurvedic medicines. Because they have anti-oxidants and contain anti-inflammatory properties, they are used in making many Ayurvedic medicines. Both curcumin and cumin stimulate digestion and as a result, they can prevent bloating of the stomach and gas. Apart from anti-cancer properties, curcumin and cumin are also believed to prevent diabetes and various heart diseases. Turmeric is one of the most common spices used in making Indian and South-East Asian cuisines. In Indian cuisine, turmeric powder is used to color the food. It additionally renders a slightly pungent taste to the food in which it is put. Raw turmeric is consumed by lots of people because of its medicinal properties. Turmeric powder is also mixed with milk and consumed for healing someone. In Malay cuisine, turmeric leaves are used very commonly. Cumin is also one of the most important ingredients in Indian, Mexican and North African cuisines. It has a distinct flavor that is liked by many. In some recipes, cumin seeds are used as whole and in some other recipes, ground cumin powder is used. Garam masala, an important ingredient of Indian cooking, often has cumin powder in it. Curcumin is a compound of turmeric and cumin is a seed of the plant of the same name. 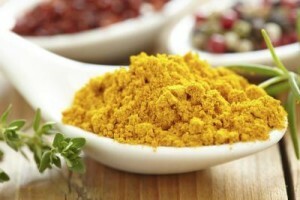 Curcumin renders yellow color to turmeric and cumin is brownish in color. Both curcumin and cumin are believed to have anti-cancer properties. Both curcumin and cumin are used in cooking. moumita. "Difference between Curcumin and Cumin." DifferenceBetween.net. May 13, 2014 < http://www.differencebetween.net/object/comparisons-of-food-items/vegetables-fruits/difference-between-curcumin-and-cumin-2/ >. Thank you for explaining the health giving properties and differences between cucumin and cumin. US health sources state that the body has difficulty in assimilating turmeric and users do not get the full benefit of the root cuminen – also that adding pepper to turmeric gives a great boost to its healing powers. Would these factory made tablets be better for preventing cognitive malfunction than the supermarket pack of turmeric and a dash of pepper?